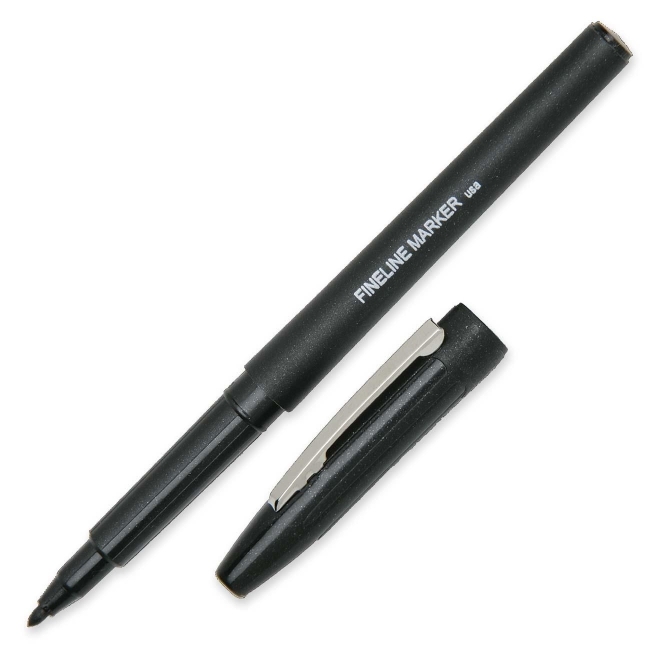 Water-based, porous tip felt markers are designed for writing, drawing, lettering and sketching on paper, cardboard and other nonporous surfaces. Long-wearing fine tip stays firm and sharp. Cap includes a metal pocket clip. The marker barrel indicates the color of the ink.